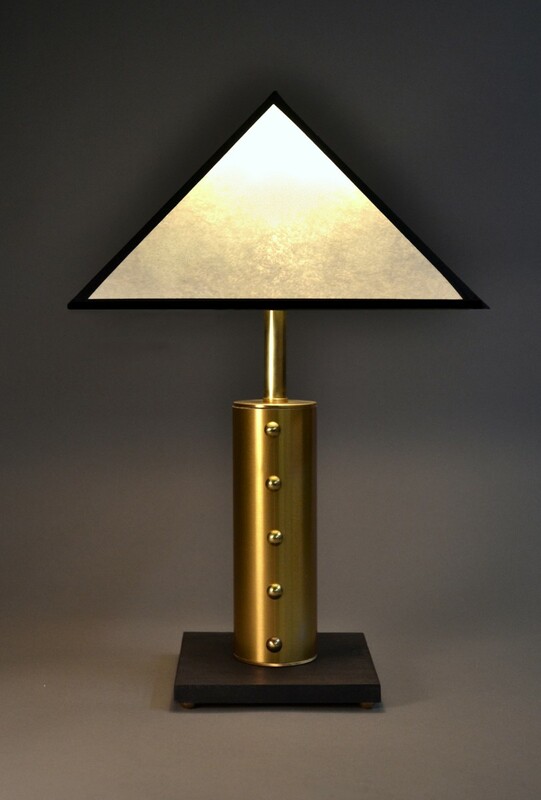 The Petite Deco takes it's inspiration from our original Deco Table Lamp- the very first lamp I designed in 1990. Here, the size is demure- a mere13" tall. A fully functioning accent lamp capable of being placed in small spaces to highlight areas that a full size table would not accommodate. Perfect for a bookcase or escritoire. Brass, maple and spun filament fiberglass in pure white, deep gray and summer gold brass. 'Touch Dimming makes it a pleasure to use.